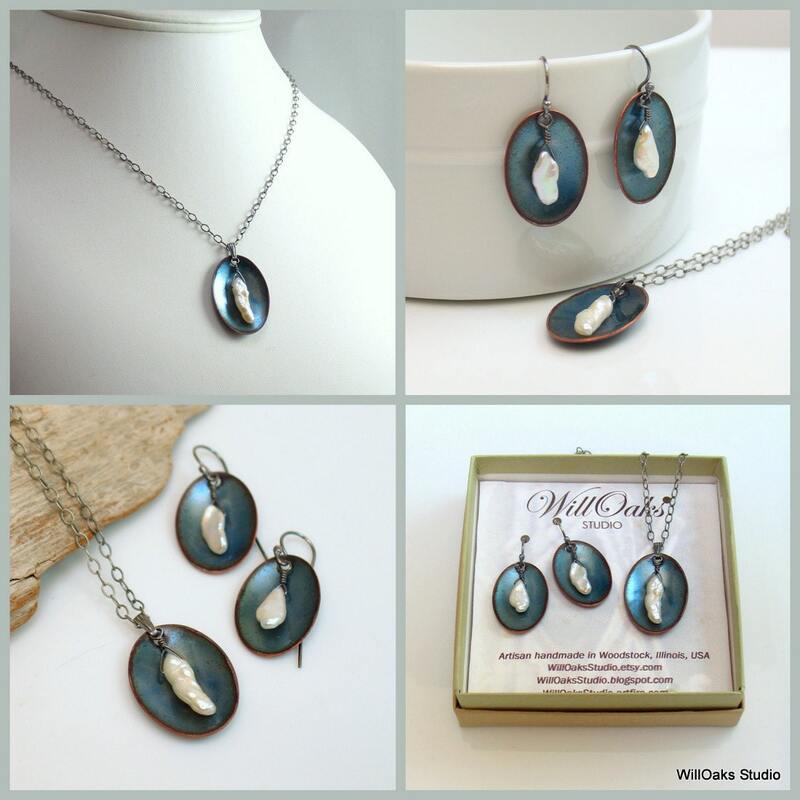 Limited edition, each set features earrings with about 1" ovals that have been hand shaped to gentle concave shapes. These hang a total of 1 1/2" from the top of my hand formed oxidized sterling silver ear wires. The coordinating pendant is larger, about 1 1/4", and has an oxidized sterling silver bail. It features a similar hand shaped concave shape. The natural keishi pearls are each unique and I matched them as much as possible. They are white and very lustrous. 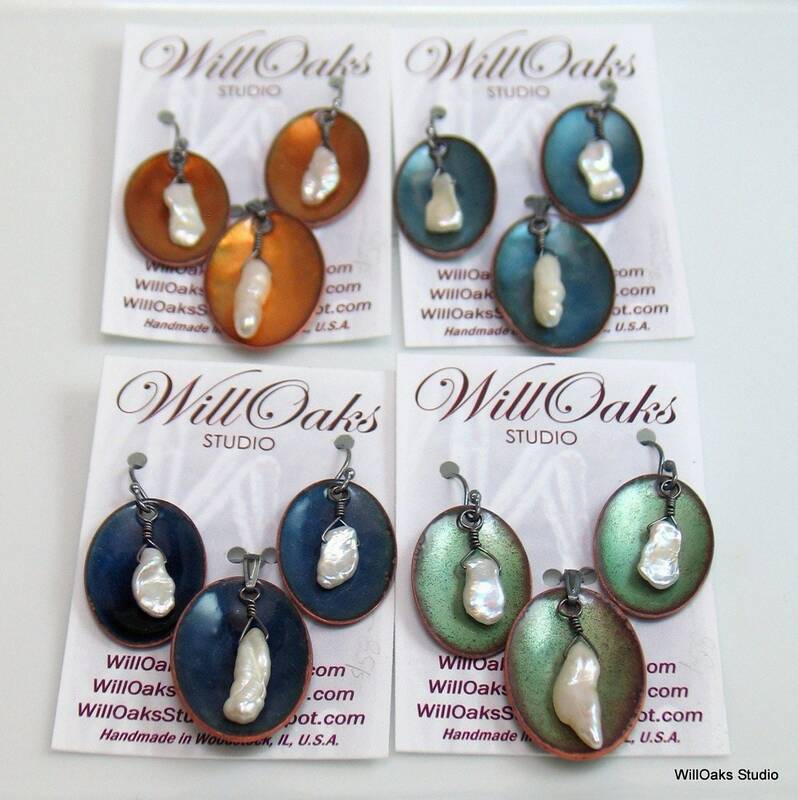 They have all been wire wrapped with dark oxidized sterling wire to hang freely within the copper ovals. 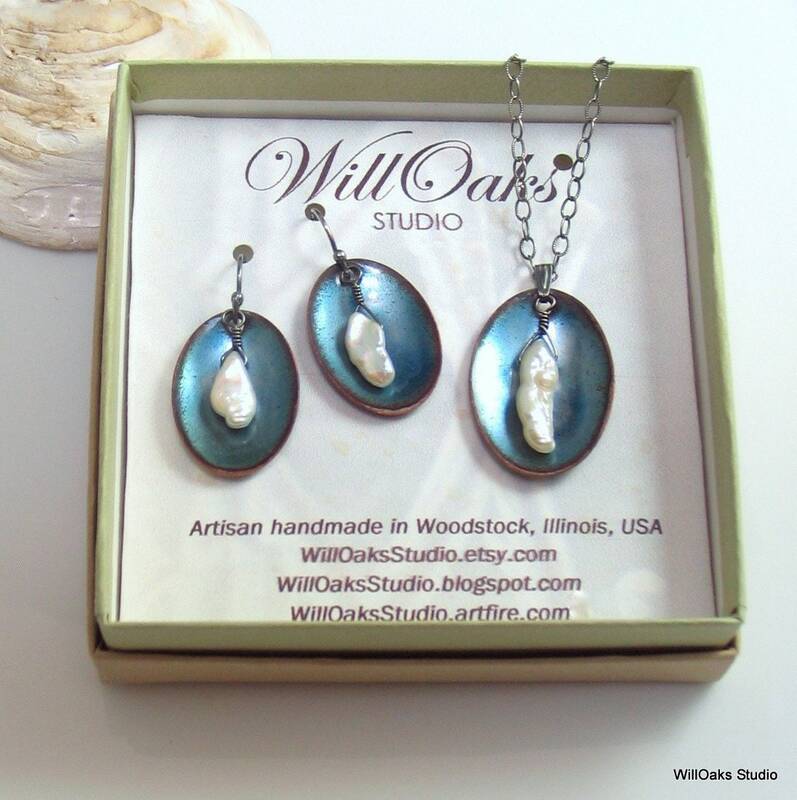 The stick pearls on my pendants are a similar color & organic quality. 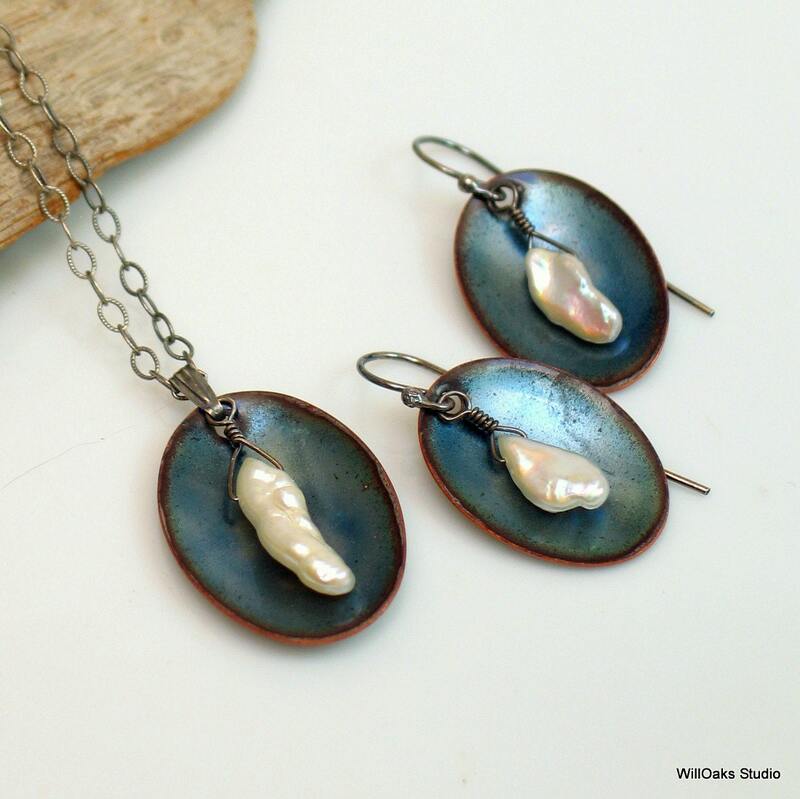 I just love the contrast between the clean geometry of the disc & the organic quality of these pearls. 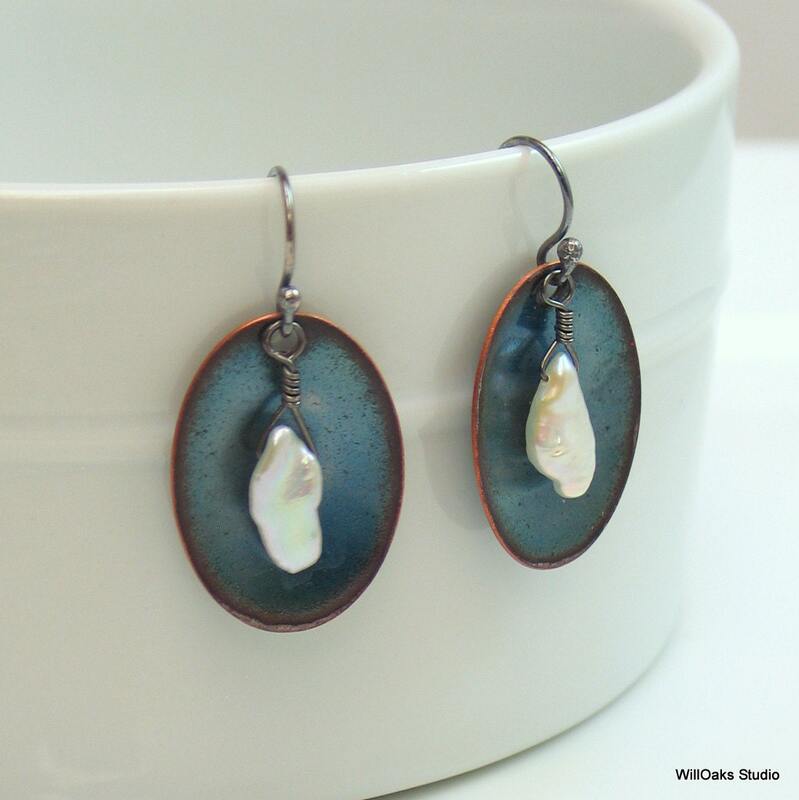 And between the luster of the pearls & the gleam of the metal showing through the transparent enamel. Thanks for dropping by and please contact me with any questions or comments! Really nice set. Sure to make a lovely gift. Thank you! Very nice design and I appreciate the extra gift too! Well made. Would order again. Quick shipping.